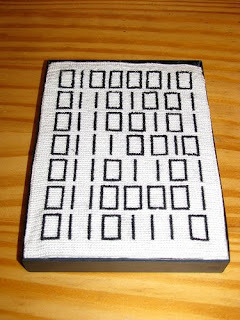 A cross-stitch of the ASCII encoding of an engineering project manager's last name. 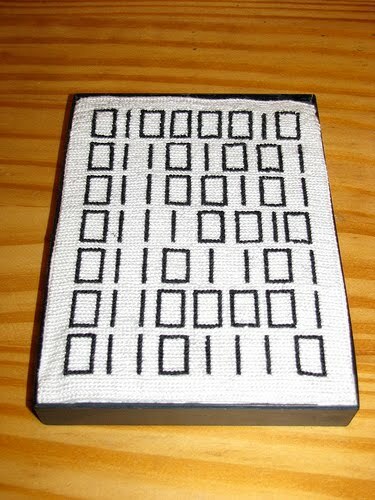 Talk about retelling an old story in a new way... welcome to the modern age of binary craftiness! This fine example of the 1's and 0's came from a post on a Craftster forum.